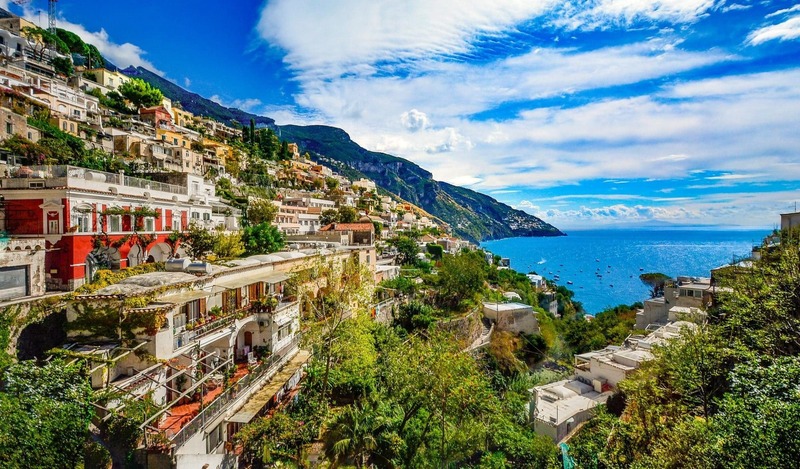 being in the tourist sector since 1979, I ‘m able to offer all that tourists wants when they comes from Rome to Amalfi Coast, in the Sorrento Coast, Pompeii, Positano, Ravello, Naples, Vesuvius, Rome, etc. Our main job is to give at all tourists an holiday with a big relax offering all type of comfort. 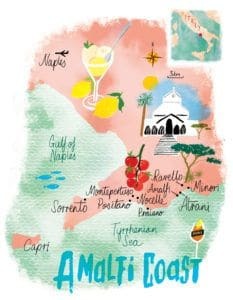 My company is situated in Sorrento (near Positano), a little place in the bay of Naples (Sorrento coast), and its geographical position has privileged this town to become a base point for excursions all round Campania and others places of Italy. I speak very well English, French, and German. I have got all types of vehicles, car, limousine, bus, mini vans, with all types of comfort and air conditioning. Currently we offer also beautiful wine tasting tours in Italy. We want to offer you private limo tours, Amalfi Coast tours, Rome to Amalfi Coast tours, cruise shore excursions limo service in Italy from all the major Italian airports, transfer services to and from the railway train station and the Italian cruise ports and hotel transfers, Positano boat tours, and wine tasting tours. We want to tell you something about us at Limousine Service Amalfi Coast Renato Cuomo so that you can enjoy our private personalized car services across Sorrento and Amalfi Coast together with our great Driver team. With a selection of High quality guaranteed tours & ground transportations you can also find us on books like Italy for Fodor’s, Frommer’s Campania & TripAdvisor in Sorrento and Amalfi Coast. What we want to achieve is that when entering our site you will be able to buy all the tours and transfers in Italy directly online with simplicity. Also with Renato Cuomo Limo you can pay cash or credit card, we want to offer the best-suited payment method for you. During these years, we were one of first to associate private limo tour services to gastronomy in the south of Italy and wine tasting tours to Avellino, Benevento and Taurasi. 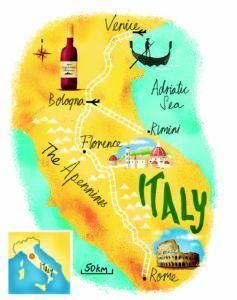 Mixing both expert drivers/sommeliers & finding the right partners to collaborate with as the (Vineyards and wineries and Gastonomical farm Houses) to partnership with our limousine shore excursion services so that our clients can enjoy many more aspects of Italy. This True Italian Company has created a relationship between the interests and needs of those who love Italy and its Fine Italian culture & the love of Art and history. With us, you can get selection of walking Tours from the many Archaeological sites and the beautiful hidden villages and towns that represent Italy in the best possible way like Pompeii, Herculaneum and Paestum. In addition, you can explore the wonders of Italy with our top tours and shore excursions from all the main Cruise Ports for example Civitavecchia port, Naples, Salerno and Livorno. Our private excursion driver team have been selected over the years because they love their area and our highly motivated to add that extra personalized experience to the day. When booking our tours you will see that our values and tradition that have been passed down to us by our previous generations will be shared with you while touring the real Italy, especially Sorrento coast and Amalfi Coast. We do not want that we just offer the basic limo tour (anyone can do that), but more about the people the culture about the area past and present, each member of our team will give you a touch of his experiences his unique personality and customize each day trip for you. This applies to all your private tours in Sorrento and Amalfi Coast and in Naples area that we offer …our goal is that we leave you with a piece of Italy through our experience and our passion of our Homeland. After many years, we have earned the trust of thousands of people worldwide who believe in us and our professionalism, and we hope that you will also take this opportunity to choose us while visiting our south of Italy and that one day our Italy will also become your Italy. If you are looking to experience a unique day with us and especially knowing that with Renato Cuomo Amalfi Coast Limo you will be secure of getting only the best from all of our great professional team of driver/guides… so come join us to continue our great success story for years to come without your help… this could not be possible all the services that Renato Cuomo Limo offer are all fully taxed and all the driver/guide team hold an authorized license and exam required by the Italian law authority to be a driver/chauffeur. Renato Cuomo Amalfi Coast Limousine tour and transfer company promise and here written that every service offered and bought is inclusive of taxes vat tolls and fuel there are no hidden charges at all. A special note we want to thank everyone that this year 2016 have chosen us to take care of their travel needs while in Italy, we greatly appreciate your trust placed in us and look forward to being part of many more adventures with our driver and tour team in the future… looking forward to more bookings for 2017…Amalfi Coast tours and Rome to Amalfi Coast tours. Private limousine service in Amalfi Coast, Sorrento, Pompeii Vesuvius, Positano, Capri, Ravello, Capri, Naples and Rome by mercedes sedan, mini bus mercedes and limousine, for small groups particularly families. Cruise excursions with minivan and limo. My tours are flexible and made at your choice. I may show you the main sights, in 1 hour or 10 days. I organize excursions and tours in Italy, Pompeii, Positano, Amalfi Coast, car transfers for Rome airport, limousine transfers to Naples airport, Pompei, Ravello, Capri, Sorrento coast. Transfers from and to Fiumicino (FCO) airport, wine tasting tours. I speak English, French and German. A symbol of sorrentine gastronomy, a campanian product par excellent and a mediterranean masterpiece that is known and loved all around the world. Limoncello is a natural artisanal product: this liqueur is made by infusing the peels of Sorrento oval IGP lemons before adding water and sugar. This powerful and unique raw ingredient, whose luscious fragrance infused into the alcohol. Limoncello can be enjoyed on many family occasions and with friends. 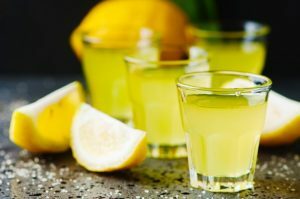 Limoncello, a liqueur and digestive, gets its flavor and distinctive, almost neon-yellow color from the infusion of the skin of locally grown lemons in pure alcohol.